Harrisburg, PA – Governor Tom Wolf today announced the successful transition of the remaining 79,272 individuals from the previous Healthy PA plan to HealthChoices, Pennsylvania’s expanded traditional Medicaid program. The comprehensive Medicaid program provides greater health care coverage in a simpler and streamlined method to Pennsylvanians who are most in need. In addition to existing clients who have transitioned, all future applications will now go through the new, simplified Medicaid system known as HealthChoices. 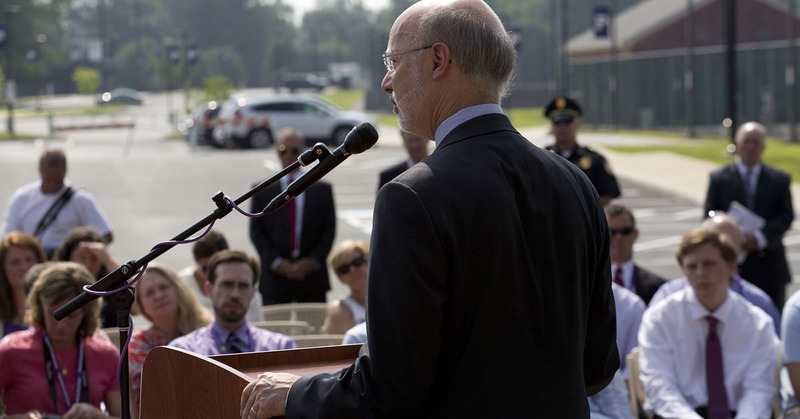 Last week, the Wolf Administration announced that 150,000 newly eligible Pennsylvanians have enrolled in the Governor’s Medicaid expansion plan that launched on April 27, 2015. The HealthChoices expansion moves Pennsylvania to a single, streamlined, and comprehensive adult benefit package that provides individuals enhanced coverage for both physical and behavioral health. The individuals previously enrolled in the Healthy PA Private Coverage Option (PCO) have been moved to HealthChoices’ adult benefit package. The Department of Human Services (DHS) completed its data systems updates that enabled the transition to HealthChoices this weekend. The 79,272 individuals will receive notices of the transition over the next several days. Their new coverage in the Medicaid HealthChoices plan will start by September 1. Visit www.HealthChoicesPA.com to see a copy of the notices and a draft of the new Adult benefit package.